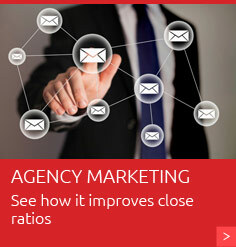 AgencyBuzz is an automated agency marketing tool that increases closing ratios and improves customer retention by keeping your agency in front of your prospects and clients through consistent communication with a personal touch. No longer are you forced to store customers in generic mailings lists with systems not designed for the insurance industry. With the AgencyBuzz system, each contact can be assigned a status of prospect, customer or lost for each line of business you offer. 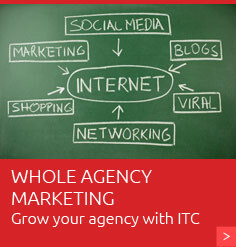 With ITC's years of experience in providing industry leading digital agency marketing, we have created this easy-to-use tool that will automate the personal touch your prospects and customers expect from your agency.